Who are we? ELICE is the eLearning Innovators’ Center of Excellence in digital learning and performance improvement. We are an EdTech consulting and digital learning solutions firm, specializing in soft-skills on-demand training, organizational development (OD) and virtual knowledge management (KM) solutions. 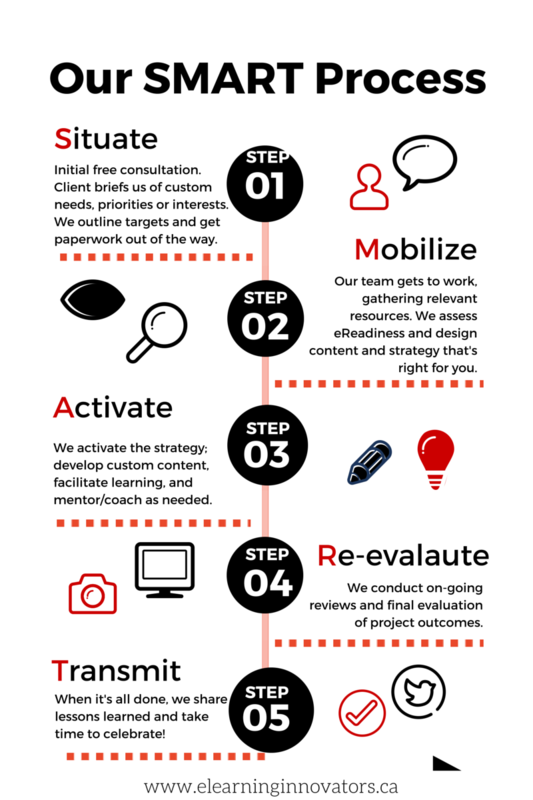 We offer instructional design, content development, and delivery services to organizations seeking customized learning and development solutions. Our services are conducted virtually and/or on-site; in embedded teams. Contact us for a personalized consultation, demo, and full catalog. Are you seeking to develop your team’s soft skills? Look no further! We now offer soft-skills training with 12 tracks of professional development courses delivered online and/or on-site. Contact us to learn more and to sign-up your team members. Our CEO, Dr. Penina Lam was recognized as the 2018 honoree for Innovation & Global Growth, during the annual BMO Celebrating Women event in Ottawa for her remarkable contributions to business and the community. We believe that using digital media for learning (eLearning) is a powerful tool for individual/organizational learning and change – and that’s our focus! ELI exists to guide our partners to leverage Mobile & Web-based technologies (ICTs) to boost learning and performance – across ages, countries, educational levels, and sectors. design and develop quality learning materials and tools. co-create organizational development and knowledge management strategies. develop and deliver learning initiatives that leverage ICTs by cutting costs and generating efficiencies. fostering inclusive and equitable quality training/educational practices. creating learning environments that promote lifelong learning opportunities for ALL – no matter where one lives or works.